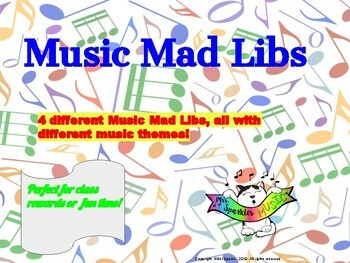 Mad Lib fun with a music theme! 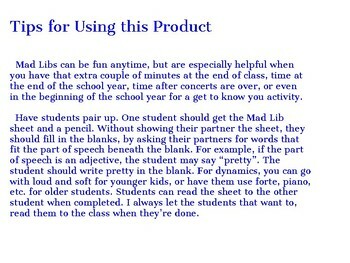 Perfect for a reward, or fun time! 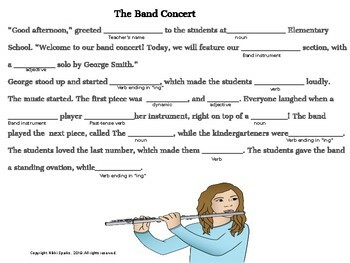 Featuring The Band Concert, Choir Practice, The Cello Lesson, and The Missing Saxophone. 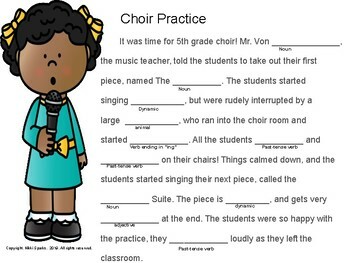 Great get to know you activity, after concert time, or end of the year fun!